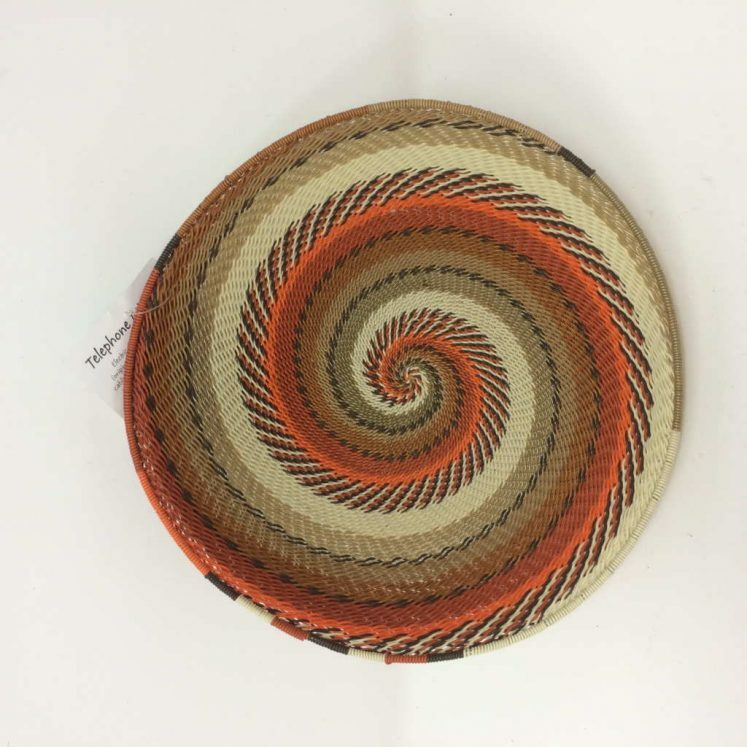 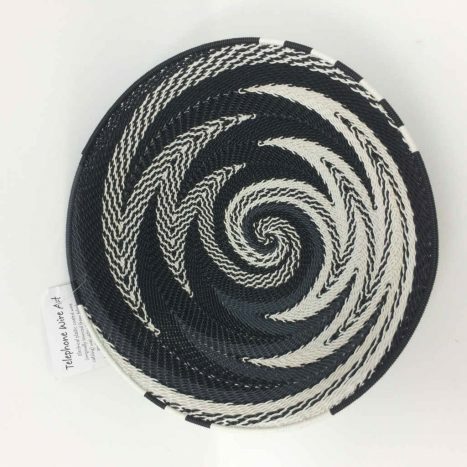 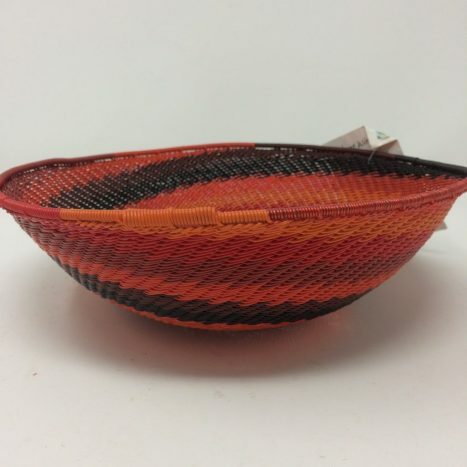 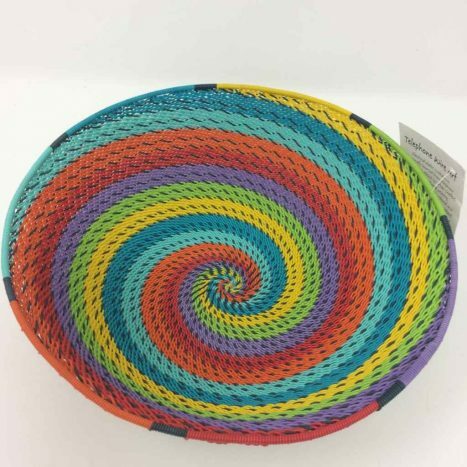 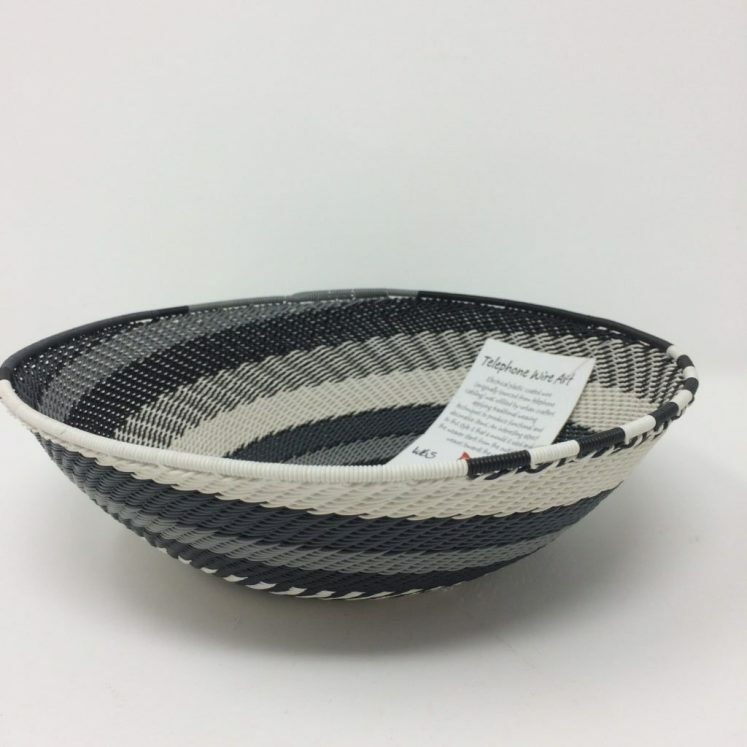 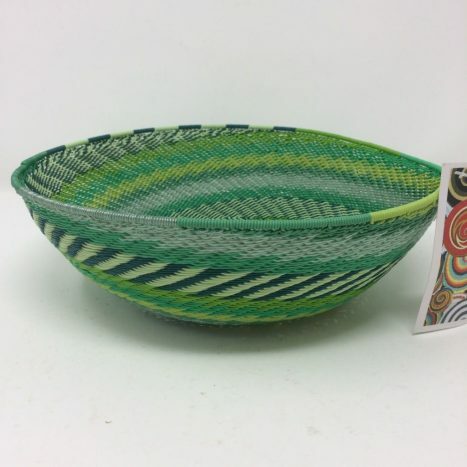 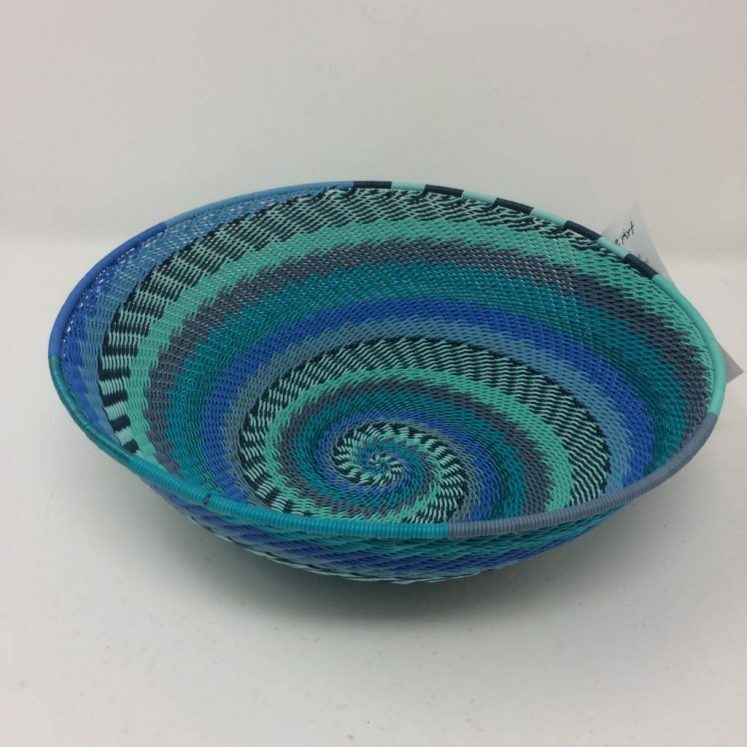 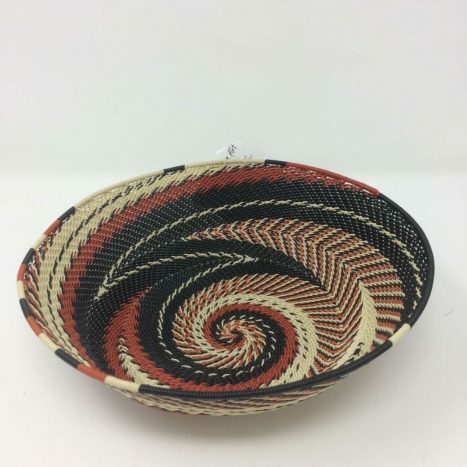 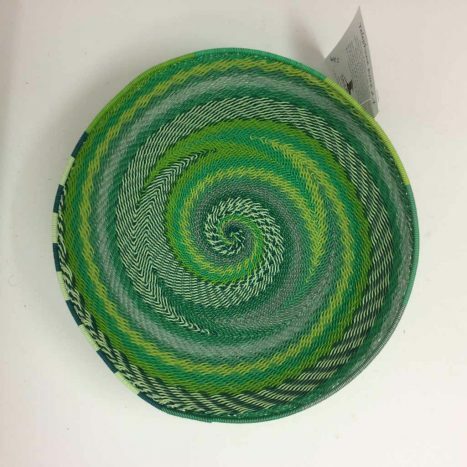 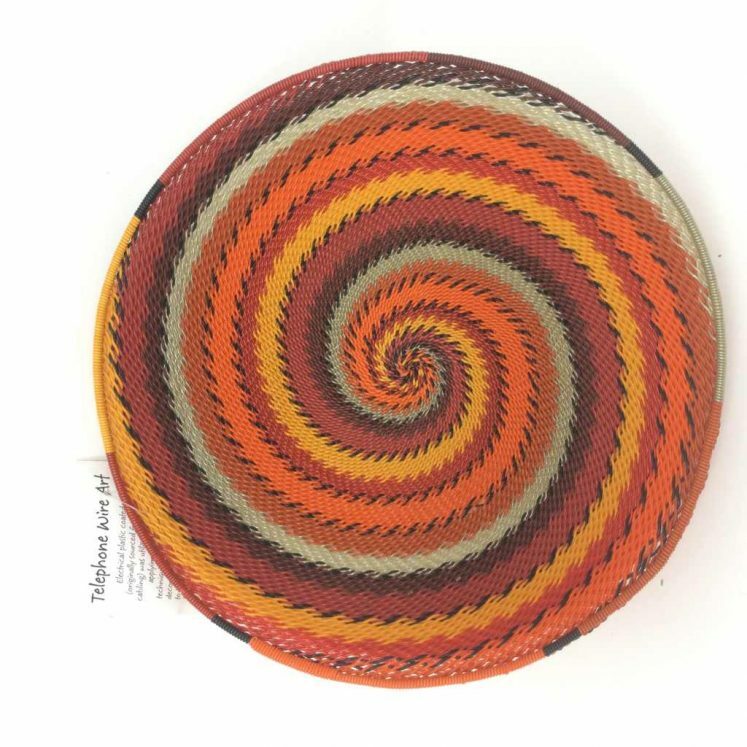 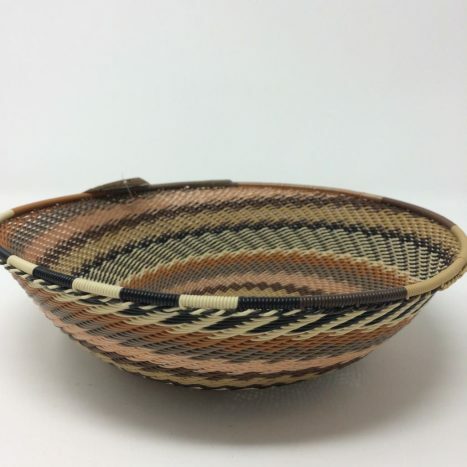 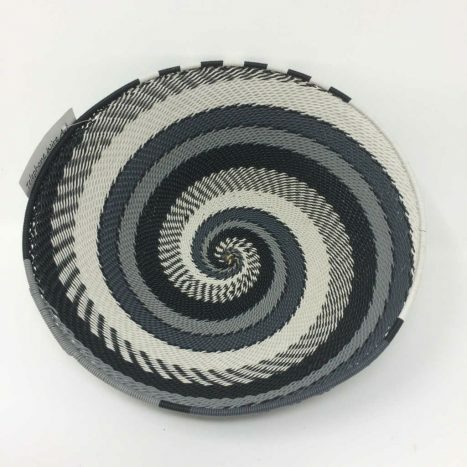 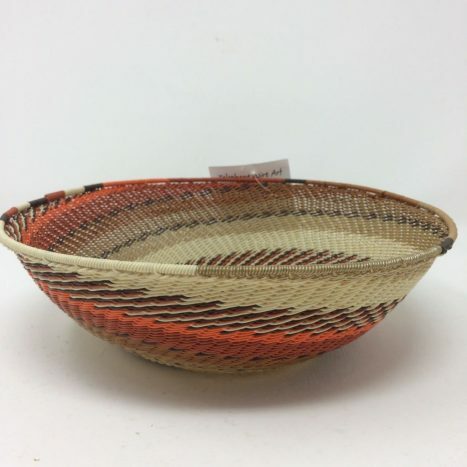 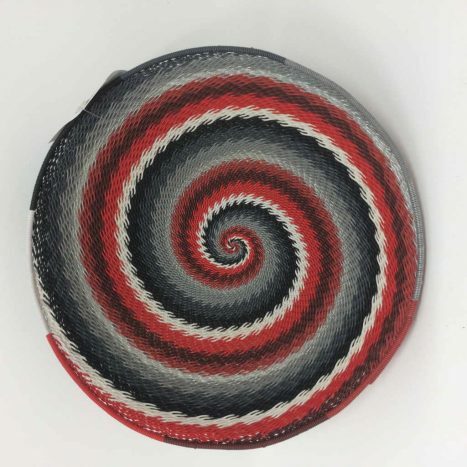 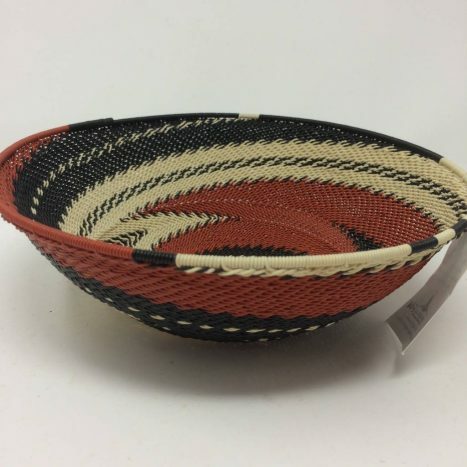 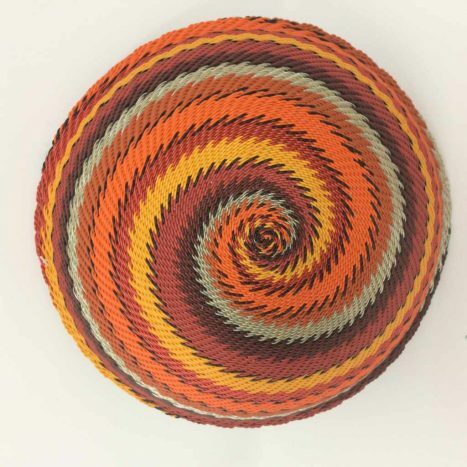 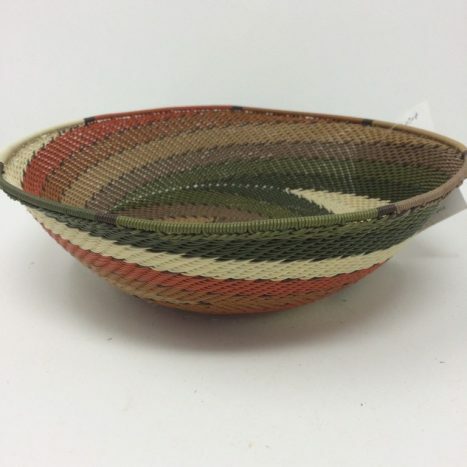 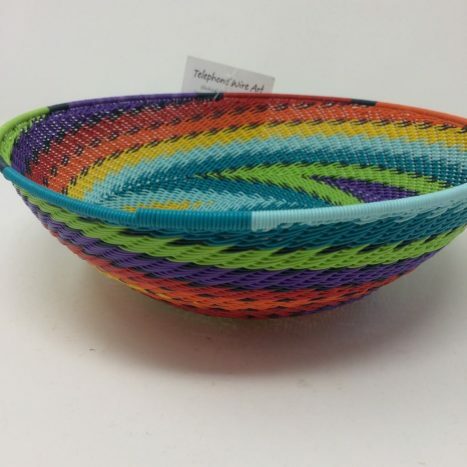 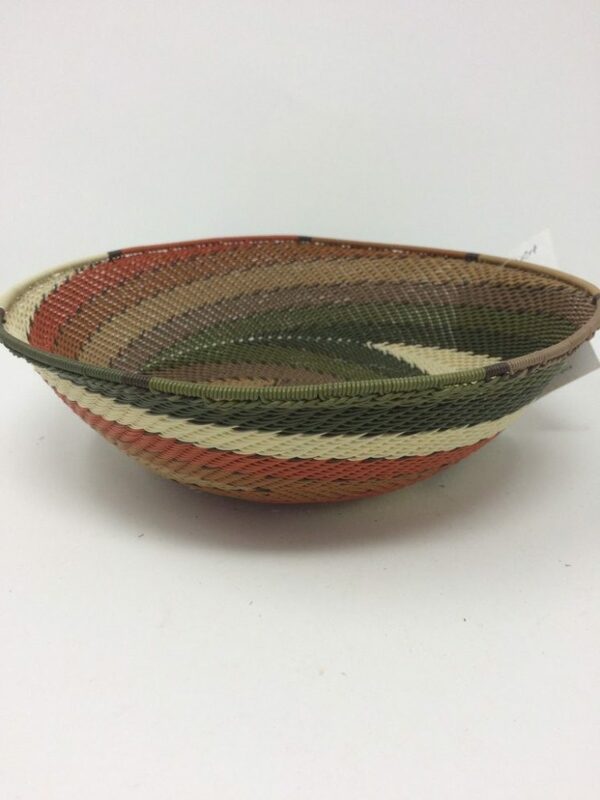 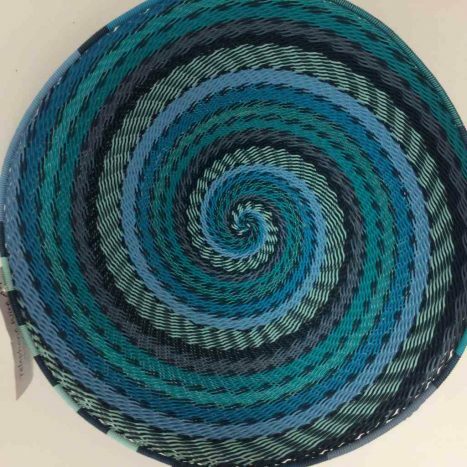 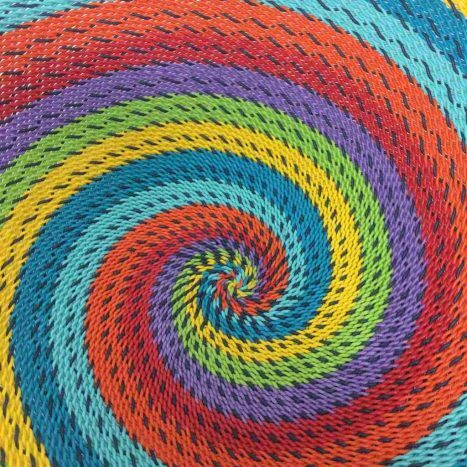 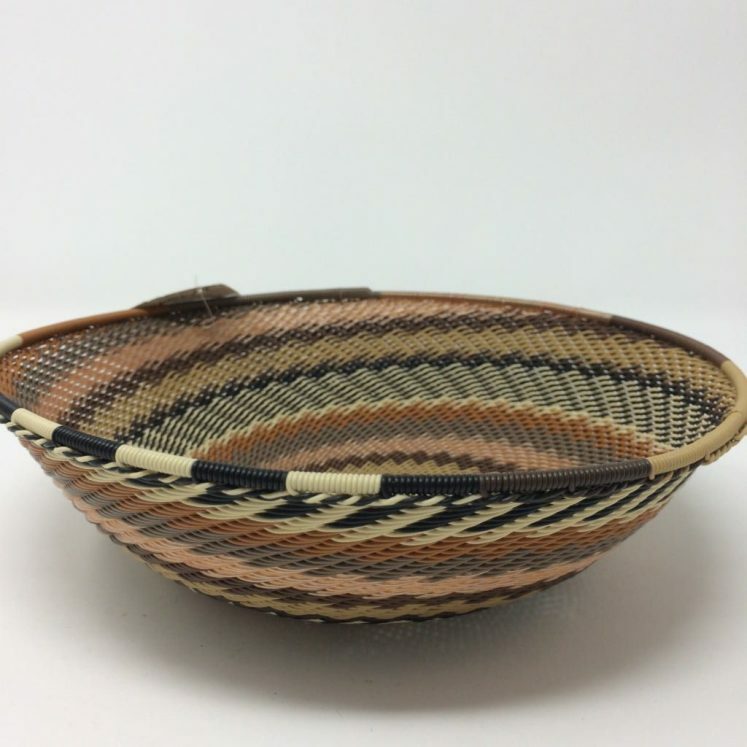 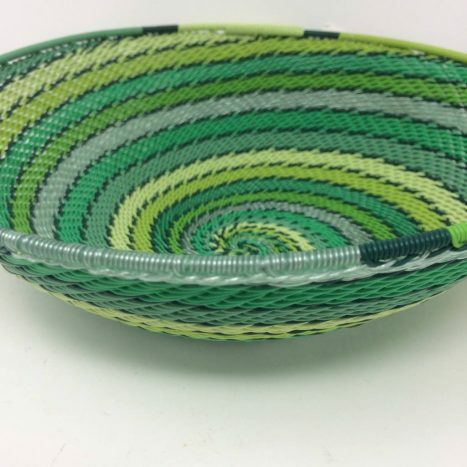 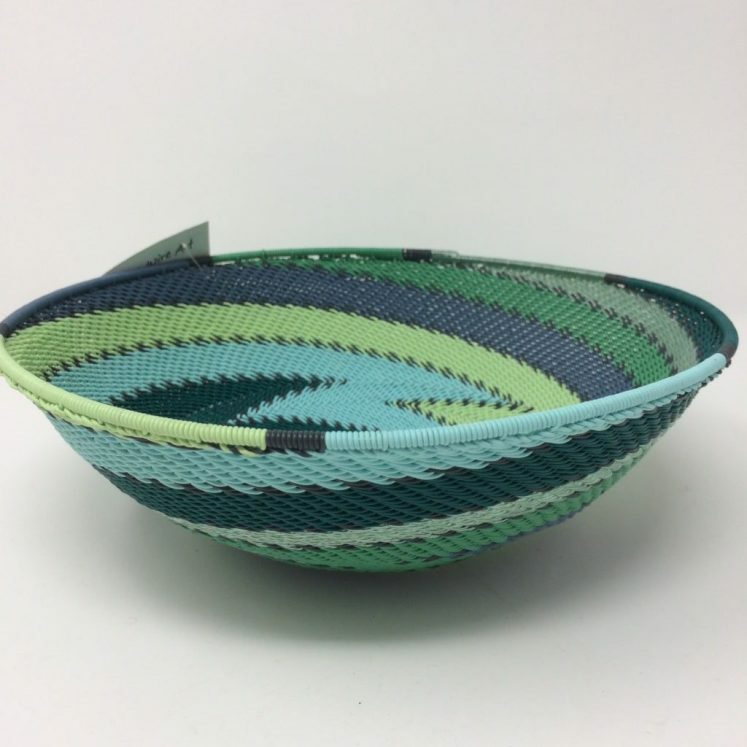 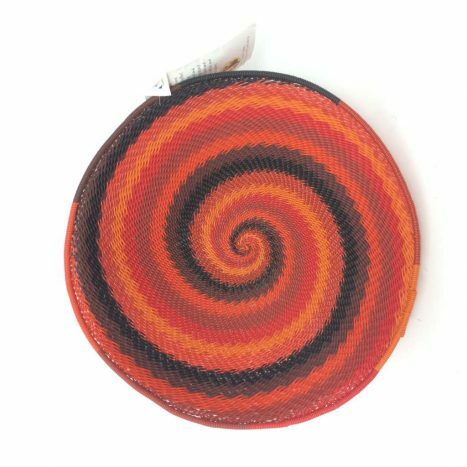 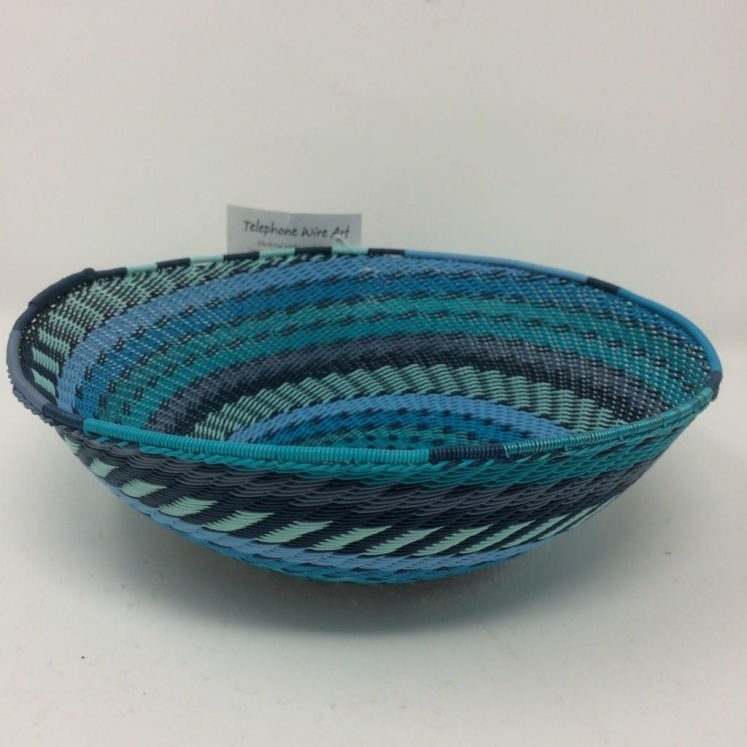 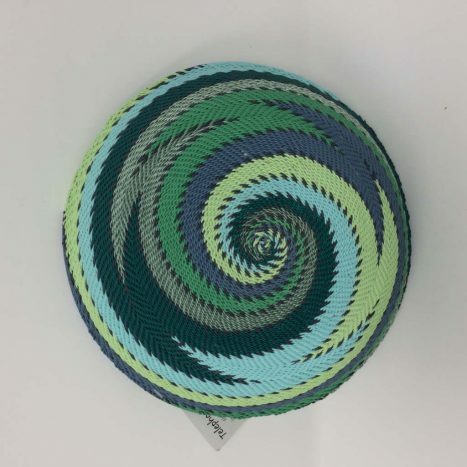 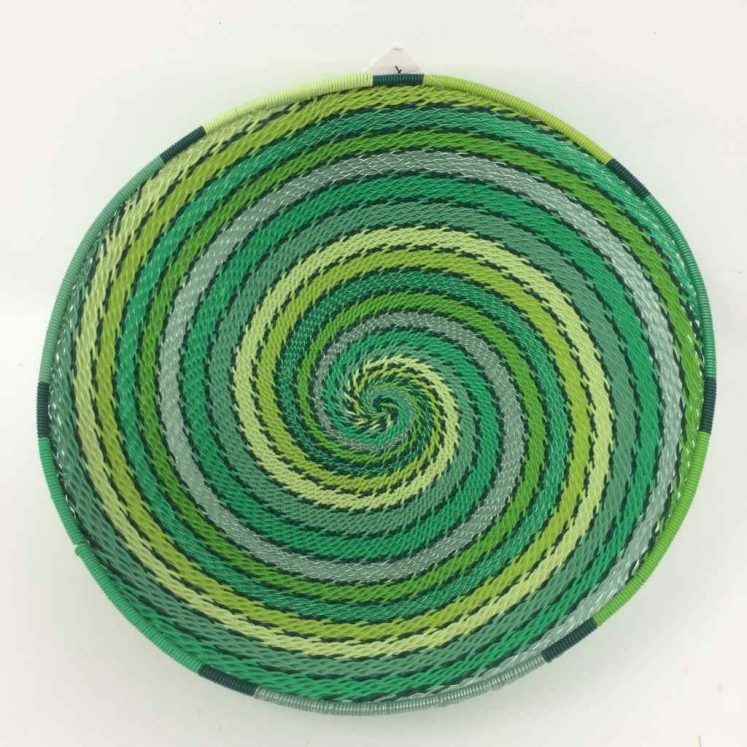 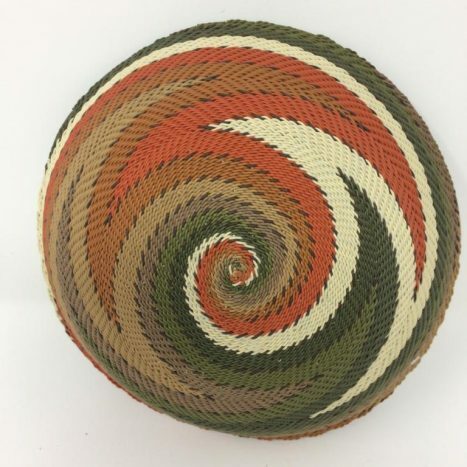 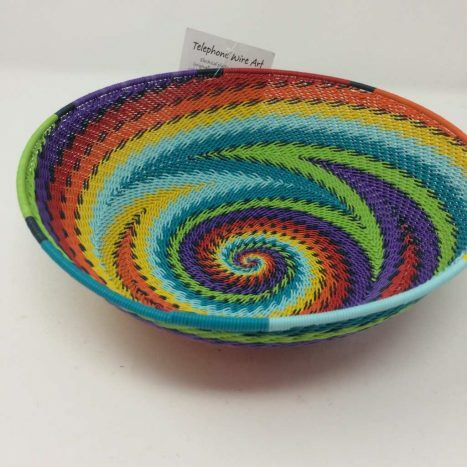 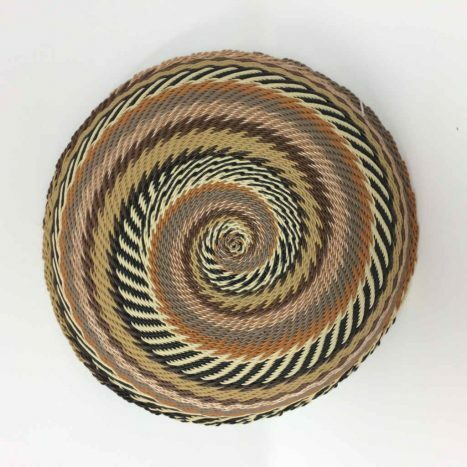 Intricately woven by Zulu Craftsmen, these urban versions of the grass and palm bowls originally made “back home” were started by Zulu men working in the mines, where they discovered off cuts of plastic covered telephone wire in a myriad of bright colours. 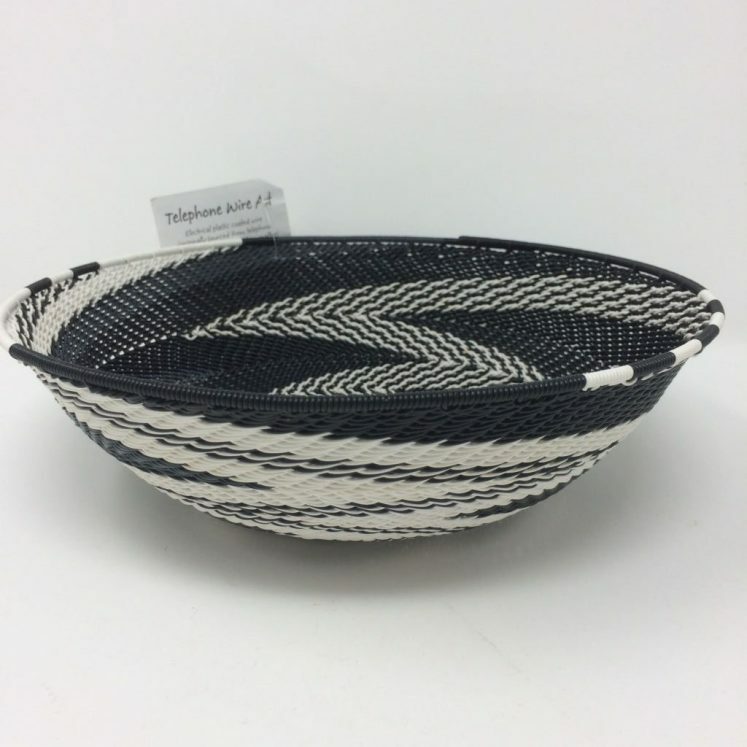 Ideally suited to weaving, being fine and flexible. 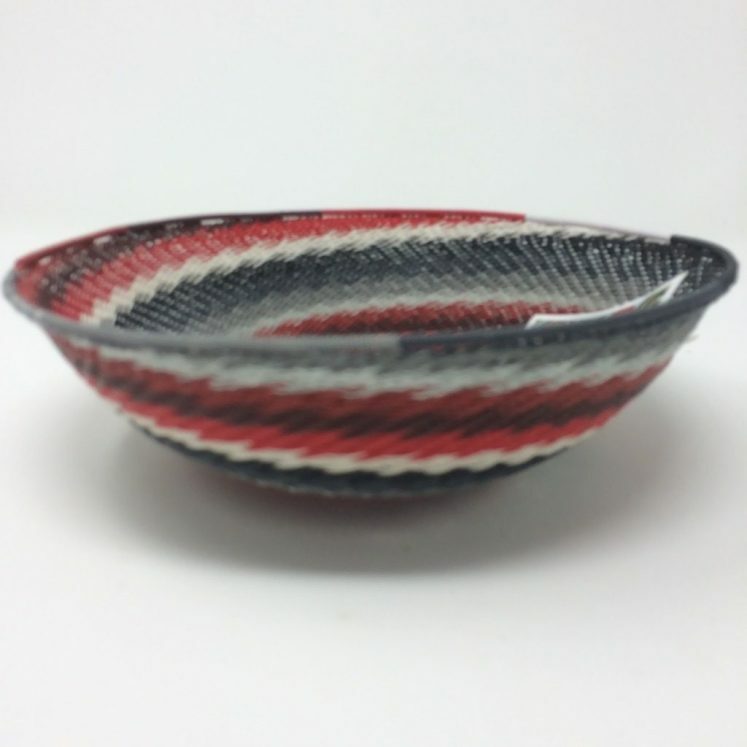 The bowls are worked with great precision into intricate and colourful patterns. 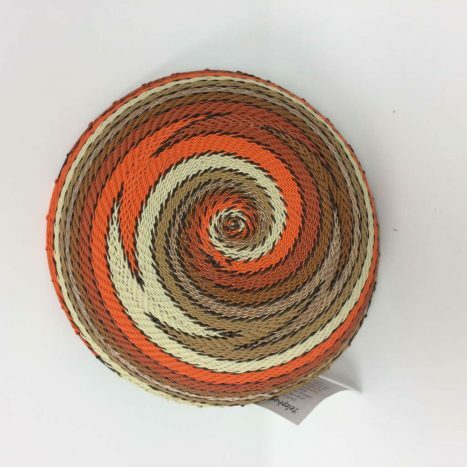 The Zulu Telephone Wire work has gained international fame and has become very collectable. 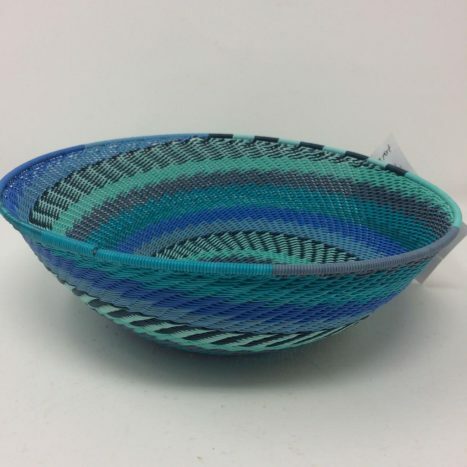 These unique baskets are especially functional and can be washed in warm, soapy water. 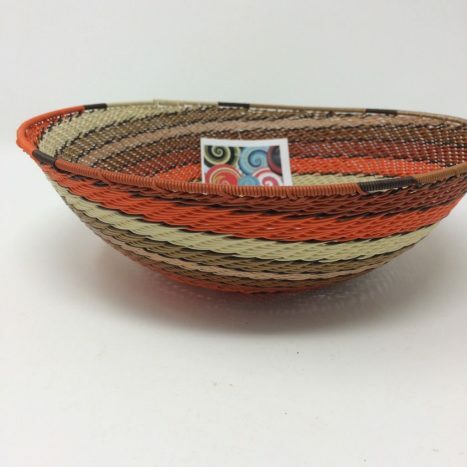 Each basket comes with a Certificate of Authenticity attached. 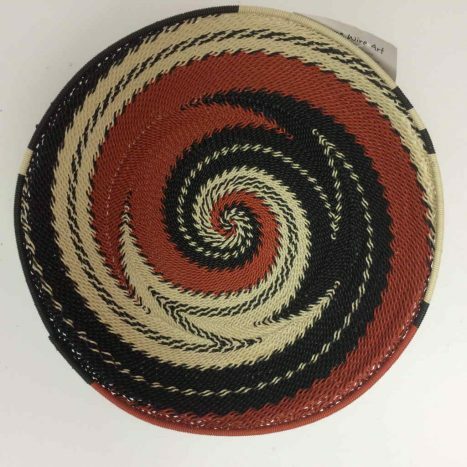 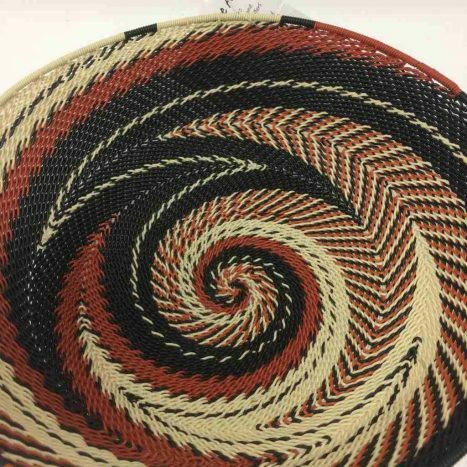 All of these baskets are one of a kind – a unique item.